WHICH IS REFUNDED WHEN YOU PURCHASE 3 BOTTLES OF WINE OR CIDER! 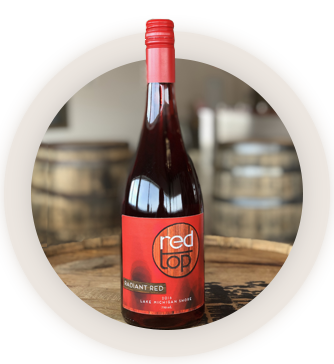 The barrels used for this wine were brought back from vacation in the islands. After they put in their time aging rum, we filled them with our special blend of white wine. 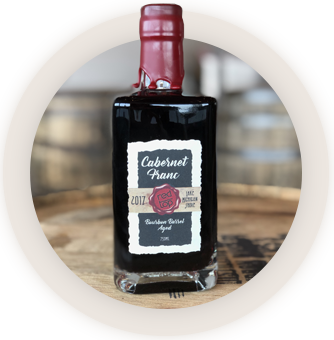 The result is lusciously smooth with candied aromas (even though it is a dry wine)! 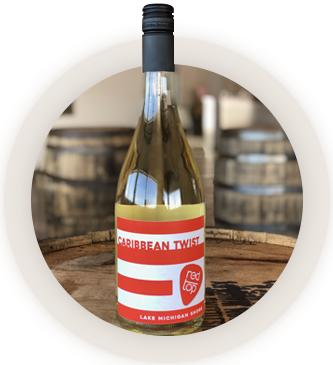 To keep the Island theme going, we developed this exciting wine with flavors of pineapple and coconut. It is as SPARKLING wine that is reminiscent of a Pina Colada! What’s unique about Chardonnay right? Well we did ours a little different. Through a process known as “Sur Lie Aging” which ages the wine with the yeast used for fermentation, we end up with an interesting Chardonnay that is a little yeasty like fresh baked bread! Another common wine you think...not ours! We left this Pinot Grigio slightly sweet and then made it SPARKLING. The combination puts a fun twist on an old classic! The owners brother grows peaches right down the road, and one year we decided to make wine from those peaches. 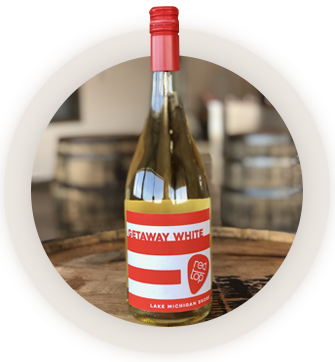 A little intense on its own, we blended it with some Traminette grapes and the end result is a SPAKLING white wine with a hint of peach! Who doesn’t want to get away from it all every once in a while. Whether it is an evening at home or a night out with friends, this off dry yet very fruity crisp white wine will help you do just that! 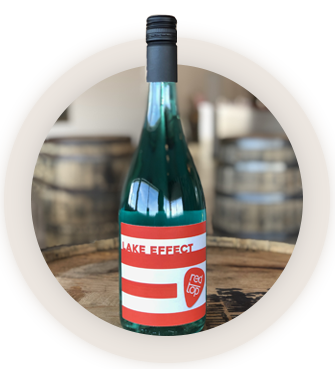 We grow our grapes just a few miles off the beautiful beaches of Lake Michigan, which gives us the “Lake Effect”. 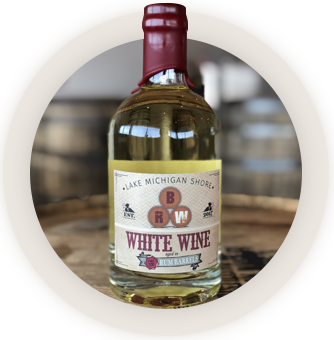 This SPARKLING blue wine will help you remember your trip to Southwest Michigan when you are back home with friends and family! 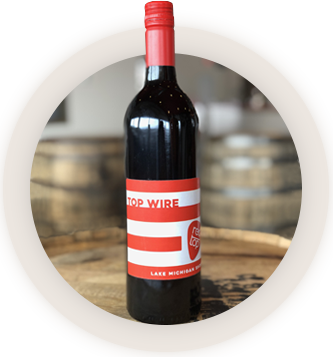 The name pretty much says it all... bold Cabernet Franc with good tannin aged in a mix of used Bourbon barrels from Kentucky. 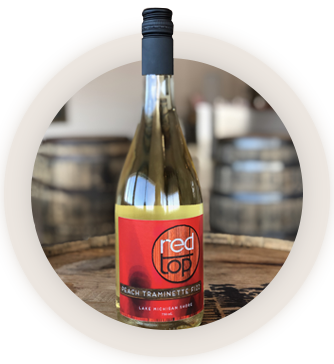 This wine is one of our customer’s favorites! Ok, so this wine is fairly traditional. This is from the same vineyard we used for the Bourbon barrel Cabernet Franc, only aged in French oak barrels. We wanted our guests to be able to compare and contrast the two styles side by side! Wineries sometimes blend in small amount of other grapes into their “varietal” wines. For this one, we took one barrel of Syrah and blended it in with our very light bodied Pinot Noir. It ended up still fairly light bodied, but with a hint of spicy that came from the Syrah. 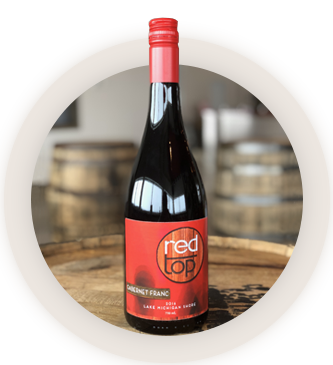 This wine is made primarily from Chambourcin grapes, which give it a very deep robust purple color. Off dry with no oak contact at all. 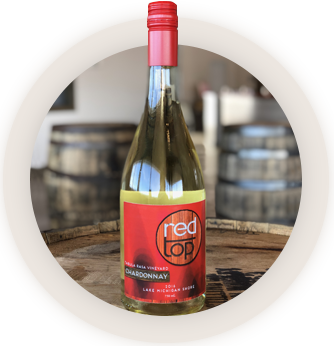 The jammy fruit flavors really pop on this easy drinking wine! We are some of the only growers in SW Michigan of a grape called Zweigelt. We took these grapes and made a rose style wine out of them. However, since the grapes start off so dark in color, even the rose turned out pretty dark. Semi-sweet and very unique! What goes better with crisp mouthwatering apple cider than a little spicy jalapeno. These two tastes co-mingle beautifully in this cider that is great with Mexican dishes! 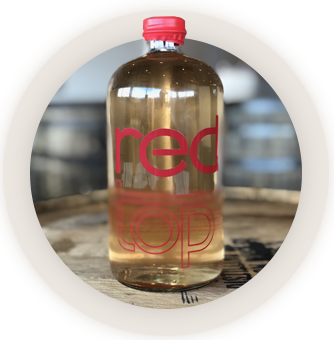 Yes, we made that name up...It comes from the combination of raspberry, banana, and lemonade flavors in this cider. To be honest it tastes sort of like the Kool-Aid you drank as a kid but with some kick to it! 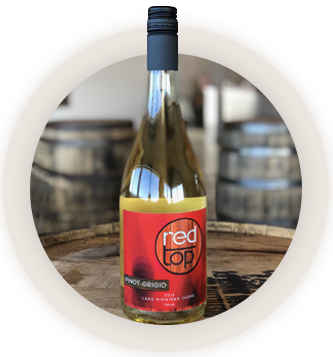 Perfect for fall, this cider tastes exactly like you would expect...warming sensations from the cinnamon and maple make this the go to cider when the leaves start changing!